Now to tell you the truth I did only buy these because they are so pretty so I wasn't really worried about the quality of the brushes but I have since used a few of them and found that a couple of them are not the greatest a few are okay. 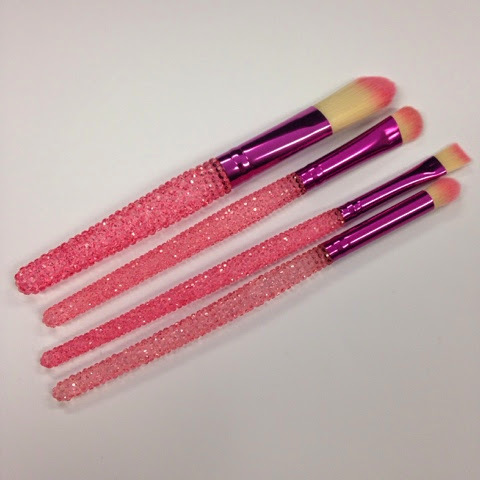 These four brushes the foundation brush, eyeshadow brush, eyeliner brush and the blending brush all seem to be synthetic and I have had no issues with them they are very workable and no bristle fall out. The eyeshadow, blending and eyeliner brush has been great and easy to use and apply my eye makeup. Overall as I mentioned I did buy these for the look but I am happy with the four brushes above and I can get some use out of them. If you are after everyday brushes I wouldn't recommend the total face brush or the blush brush but the Foundation and Eye brushes are not to bad. 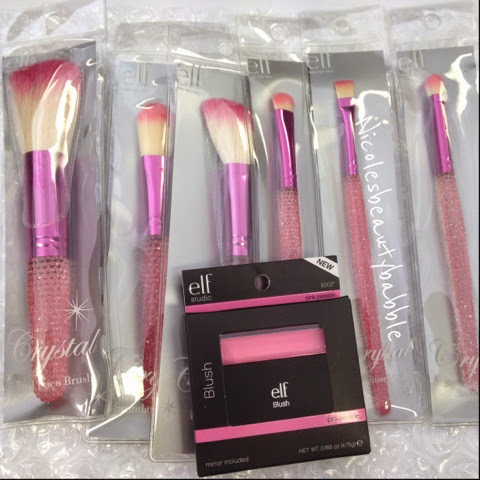 I got mine from the ELF Cosmetics Australia page here and they range from $6.00 to $7.00 each. 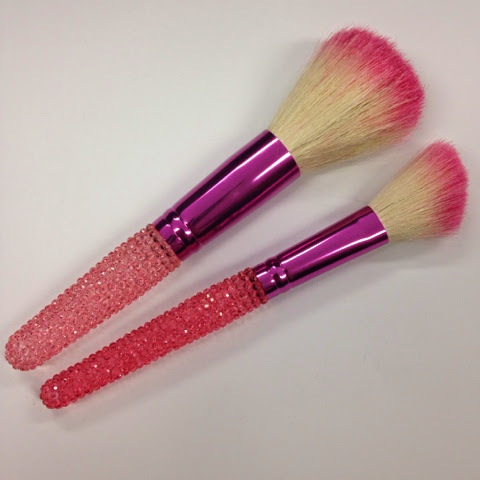 Have you tried these brushes? What did you think?